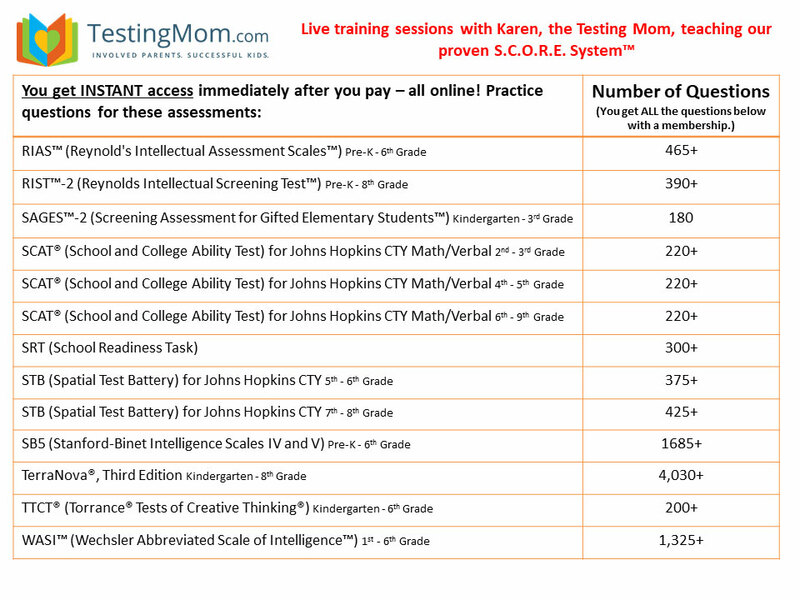 Enroll below to secure this special rate! 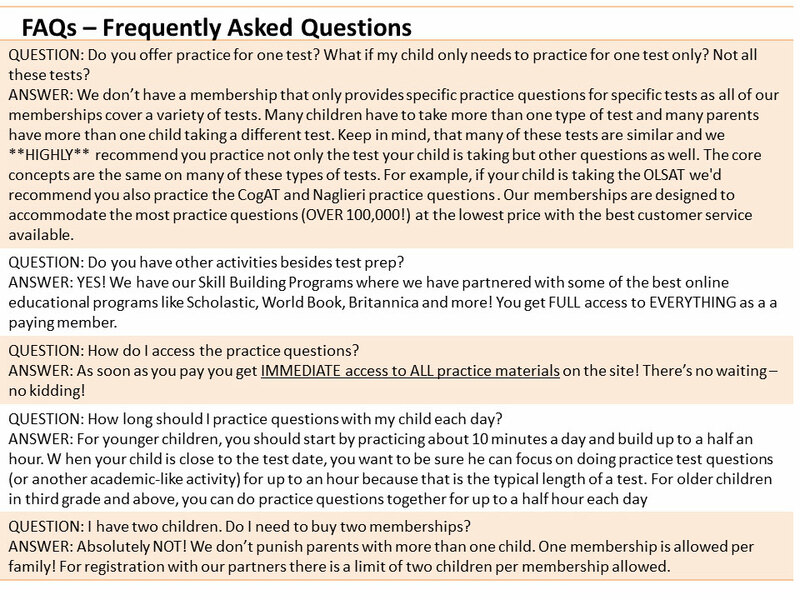 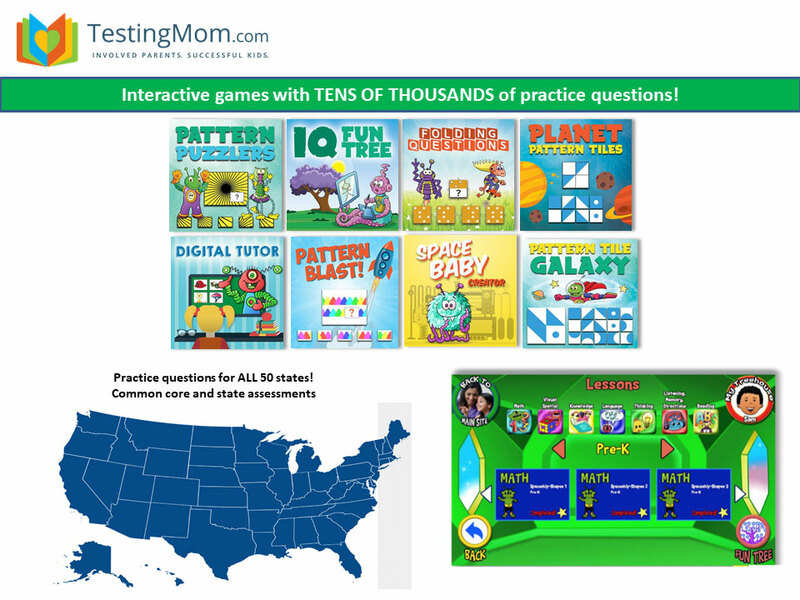 OVER 100,000 practice questions, printables, practice tests and interactive games for gifted and talented, private school admissions, state tests and common core. 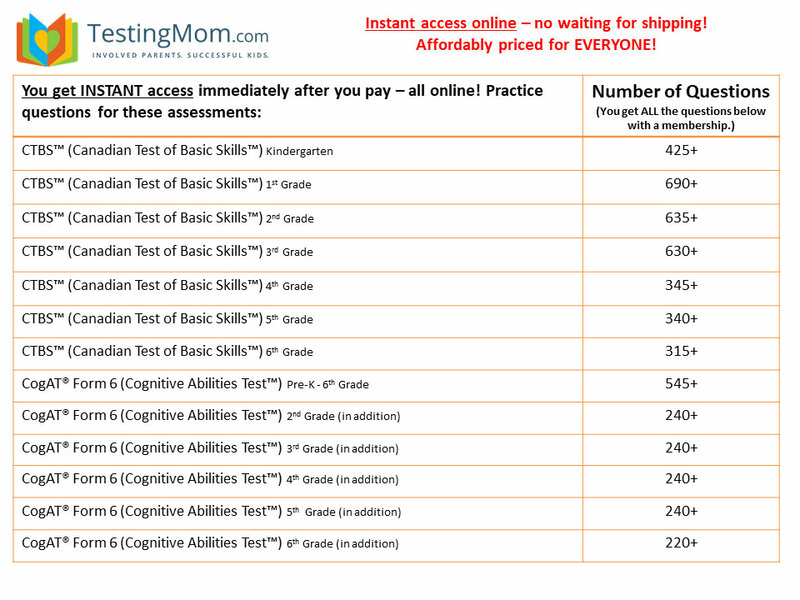 FULL access to 40 premier skill-building programs (a $1,000 value) to help enhance your child’s reading, English, math, social studies, science skills and more! 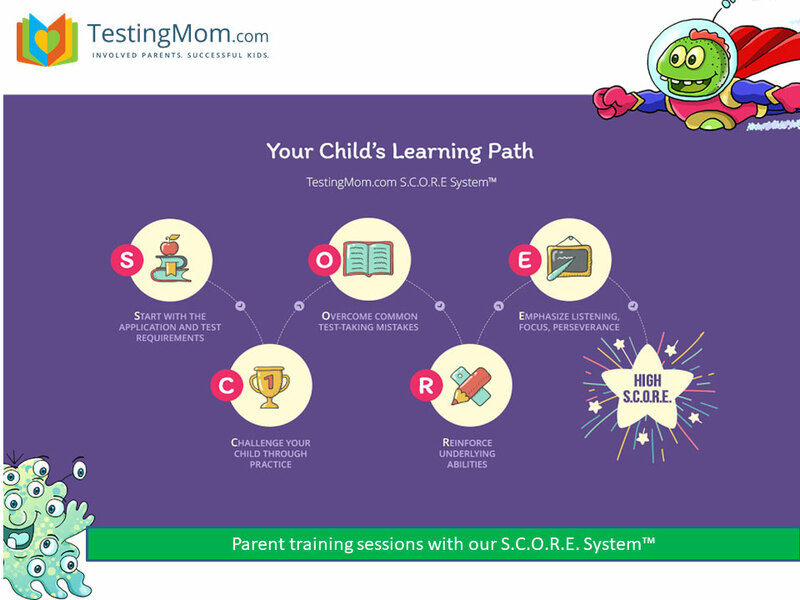 Parent resources with great tips, info and strategies to help unleash your child’s full potential. 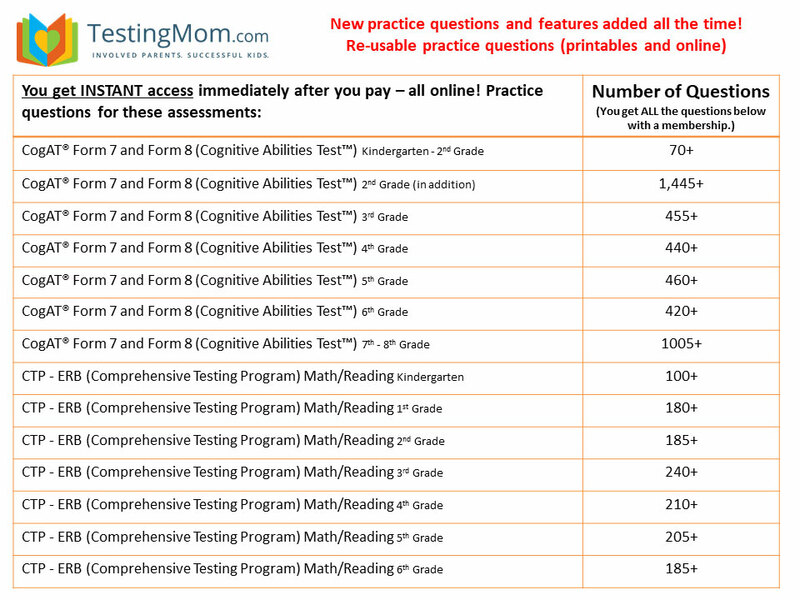 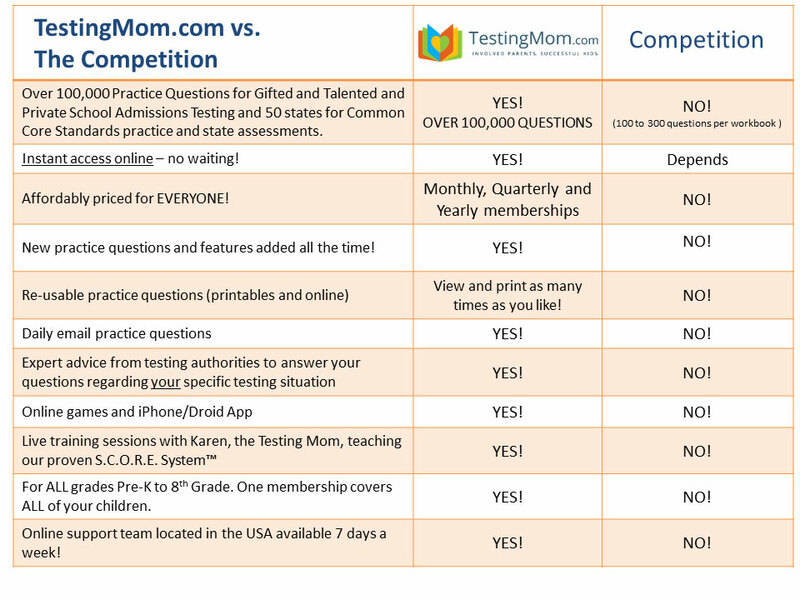 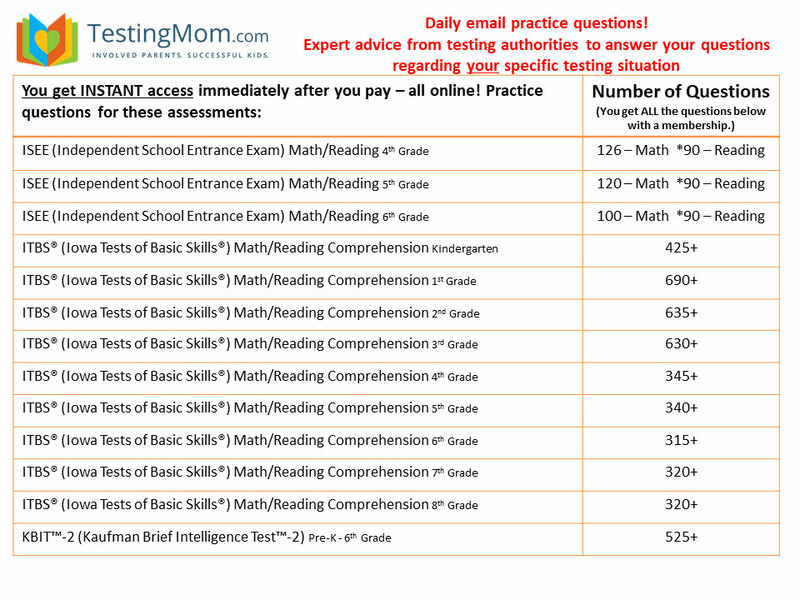 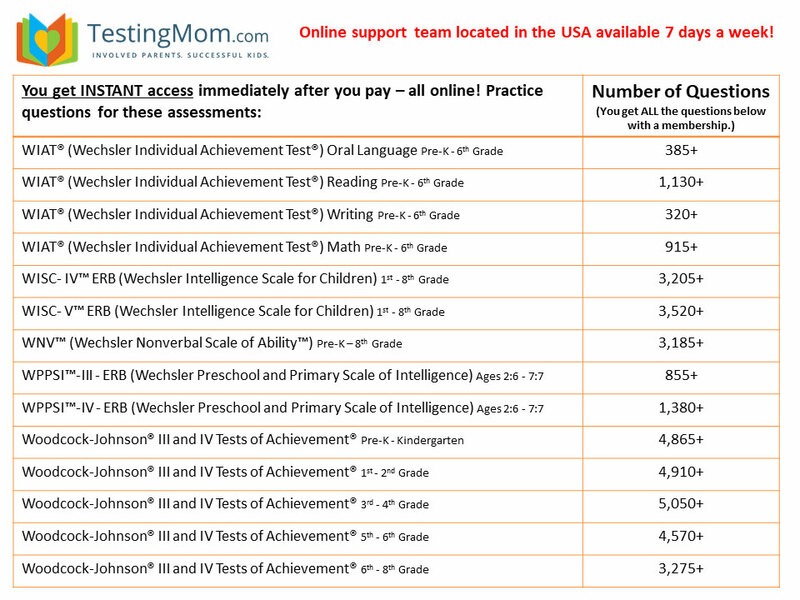 TestingMom.com has already helped 400,000+ students ace their tests. 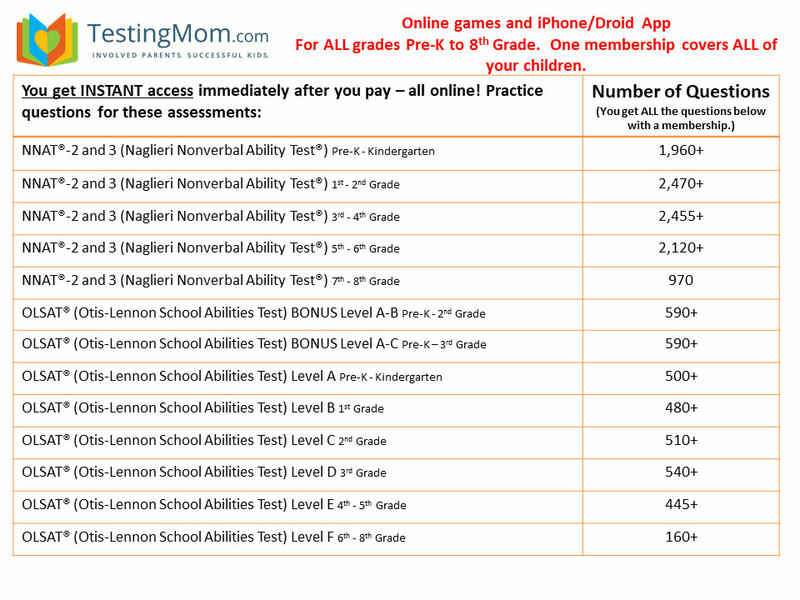 We are thrilled to help your children the best education possible so they can become all that they can be.